Here's what out sweet baby doll wore in the past few days. 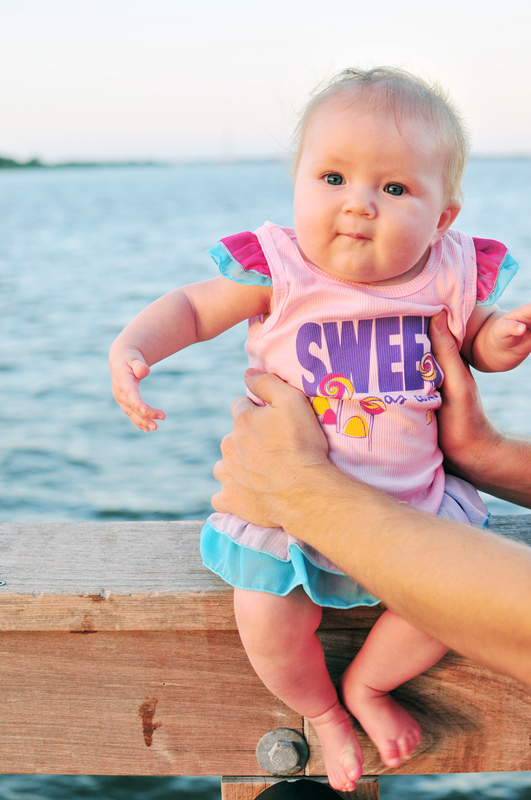 Now that baby Emma is getting bigger, it is becoming more and more fun to dress her up. On the first three pictures is Twirls & Twigs baby set from this past spring. Each one of these Twirls and Twigs sets comes with an adorable matching diaper cover. The cover has an attached double ruffle which makes it look like a little skirt. So cute! One of my favorite fall pieces is this overall by Little Wings. It is so easy to wear it in warmer weather by putting a shirt-sleeve top under (or no top at all!) and once it gets cold outside, you can put a long-sleeve top under to keep your baby doll warm. 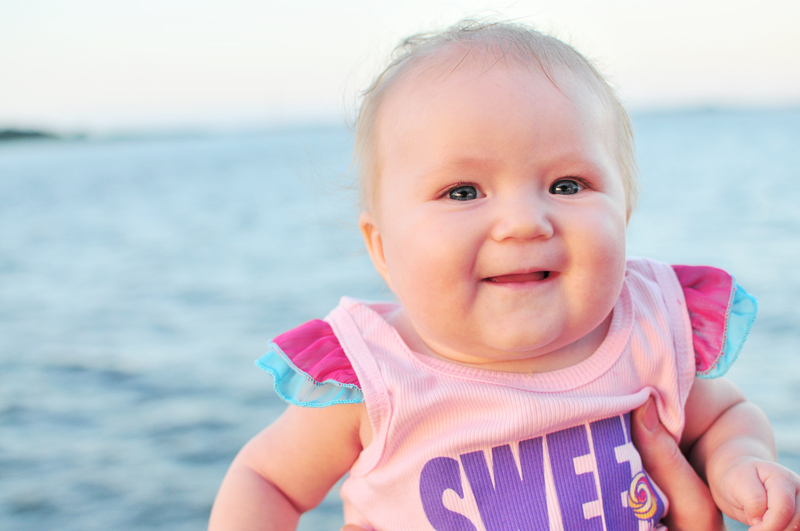 And another Little Wings favorite is this heart-print tank top Emma wore to the beach last weekend. Most of Little Wings is made of organic materials. 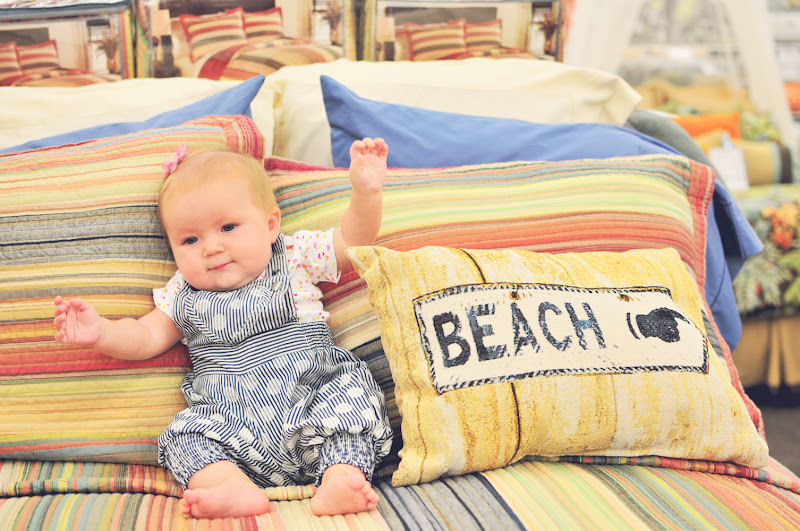 "Sail away with me, honey..." Today Emma had nautical on her mind in this fun outfit from Misha Lulu. Just like Little Wings, Misha Lulu garments are made of organic and eco-friendly fabrics which makes them perfect for babies!